Bloomsbury Children's Books, 9781681195063, 32pp. To start our show we need a band--maybe you can lend a hand! There are lots of ways little hands can make music. Each page of this interactive book invites readers to strum the guitar, slide the trombone, crash the cymbals, and more--no instruments required! 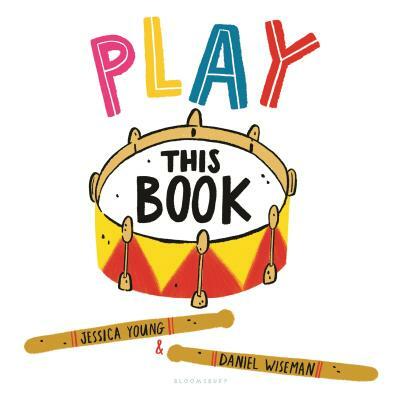 With a delightful rhyming text and engaging illustrations, this book is full of instruments waiting to share their sounds. The only thing this band needs is YOU! Just use your imagination, turn the pages, and Play This Book! Pair with Pet This Book, another title in this young picture book line that comes printed on heavy-duty card stock pages to stand up to all kinds of play!